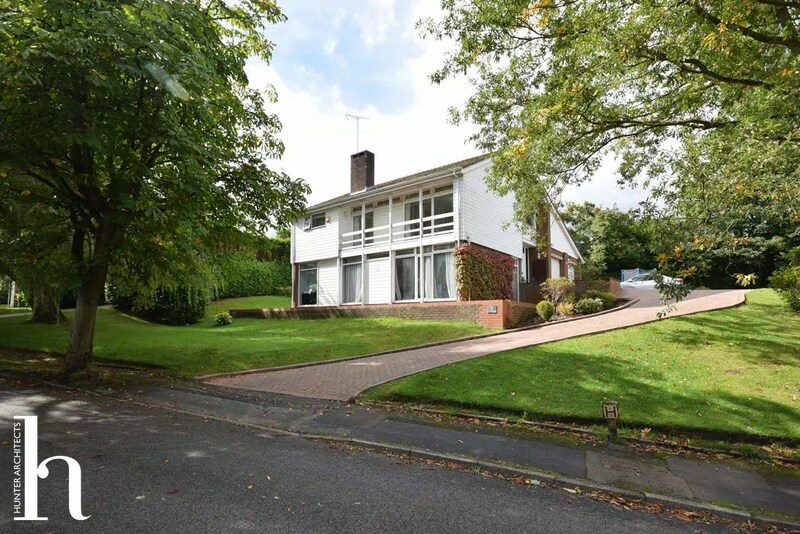 Our clients had recently purchased a split-level detached family home in the heart of Prestbury village. 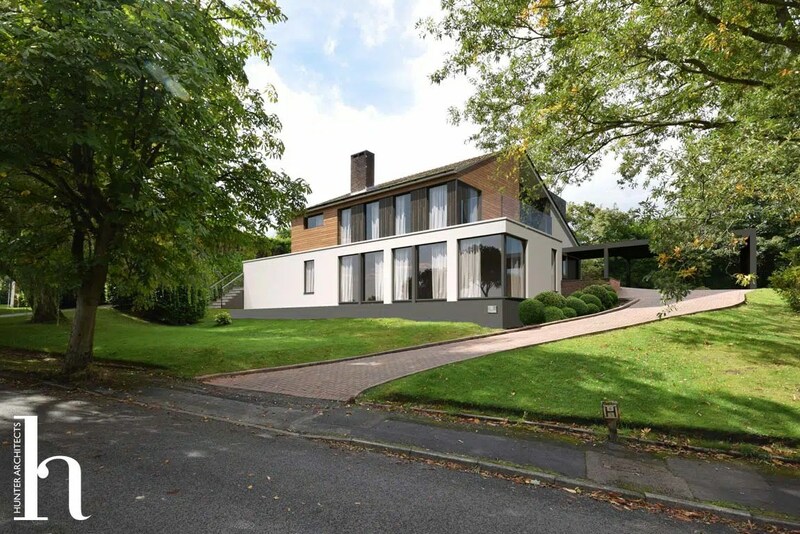 The house had many good points and lots of potential, however, several aspects required improvement and the external envelope, in particular the front elevation framework, provided some challenges to this exterior remodelling project. Working with the client to develop a brief, the key aspects to the project were to create a new family room, with better links to the garden, an improved entrance, a larger formal living room, improving the kerb appeal and look of the house via exterior remodelling, adding a carport, increasing the number of bedrooms and creating a new master bedroom suite with dressing room and en-suite. Due to the nature of the level changes as well as the configuration of the plot careful consideration was required and there were limited options for where extensions could be added without reducing the already limited outside space. As such any extensions needed to be as efficient as possible. The house sat in a mature plot, and there were a similar style of properties adjacent to the site, although as the road was on a substantial slope overlooking and overbearing of neighbouring houses would be an issue. While other houses in the street had been extended and remodelled we were conscious of ensuring any new exterior remodelling design sat well in context and the street scene although our clients were keen to create something unique and create a more radical extension than had been done before. As the front elevation was to be extended, we suggested utilising this to increase the usable garden area as well as providing more privacy and security to the side garden. With the extended family room having large doors to the garden, the inside and outside spaces now relate better to each other, whilst both are larger and more usable. Concentrating on the front elevation, various small amendments were made to existing window openings to rationalise and create a more contemporary feel to this exterior remodelling design. The existing cladding was replaced, and a new horizontal emphasis was added to the ground floor. Floor to ceiling windows were added to benefit from the daylighting as well as the views but also provided a rhythm and harmony to the exterior remodelling elevations. The small single-storey extension to the front corner, helped to reinforce the horizontal emphasis while balancing the wall to the opposite side of the house which was used to extend the garden. The corner glazing provides a feature to the living room while maximising the views down the road and countryside beyond. This extension also helps to provide more privacy and shelter to the main entrance of the house and parking area, which also featured a new covered carport. 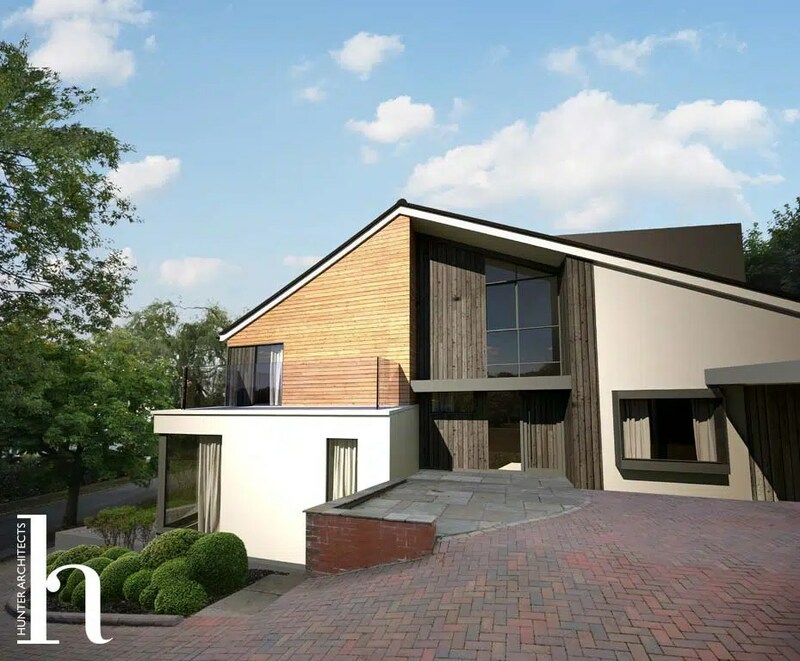 Features: exterior remodelling of the existing house, carport extension, double height entrance, large family room, better links to the garden, new master bedroom suite.